2 Bedroom Terraced House For Sale in Chorley for £95,000. Recently refurbished including new kitchen, bathroom and carpets to mention a few and ready to move into there is a fantastic opportunity to acquire a wonderful first time home/ investment. Located close to Chorley centre the property comprises; entrance vestibule, lounge, dining room, kitchen, landing, two bedrooms and a three piece shower room. 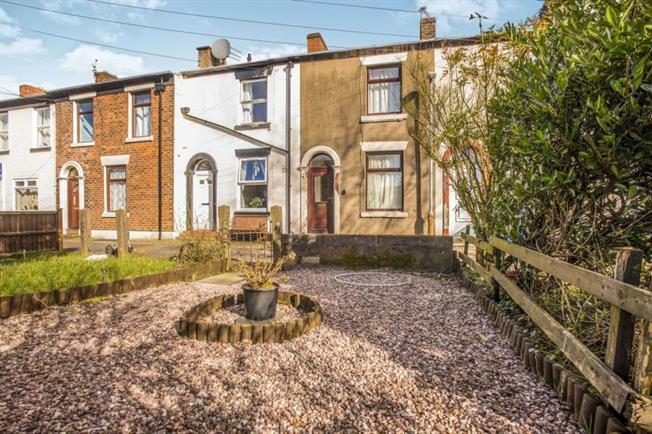 Externally the property has a rear yard but also has an easily maintainable front garden. Parking is communal to the rear. Viewing considered essential. Spacious lounge with UPVC Double Glazed window to the front, Gas fire with surround complete with double doors into the dining room. Generous dining room with UPVC Double Glazed window to the rear, open staircase with door into kitchen. Beech effect wall and base units, sink and drainer, space for washing mashine and fridge freezer, integral electric oven with Four ring gas hob and extractor far, UPVC Double Glazed window to the side complete with UPVC door to rear yard. Spacious double bedroom suitable for bed and numerous pieces of furniture, UPVC Double Glazed window to the front. Spacious second bedroom currently with exposed floorboards, UPVC Double Glazed window to the rear. Three piece shower room complete with WC, Basin and shower cubicle. UPVC Double Glazed window to the rear.